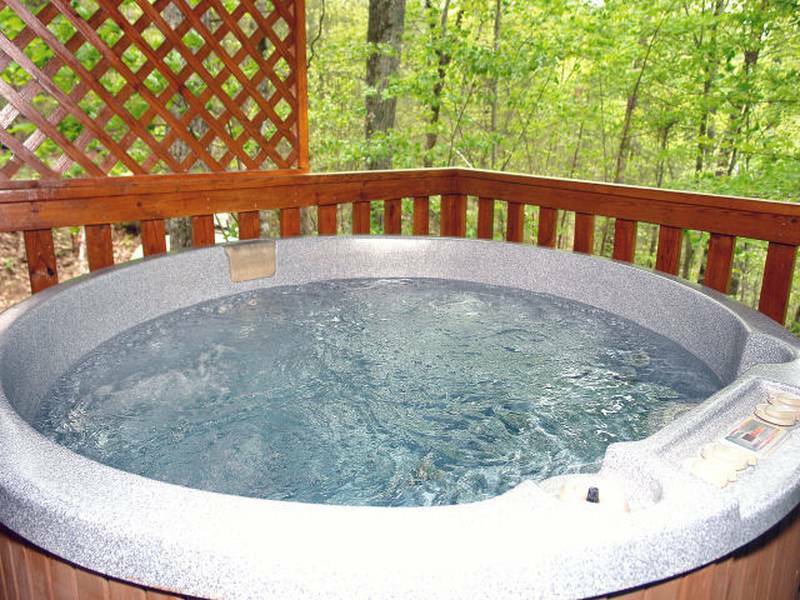 This is a 5 Star X-Tra Large One Bedroom - One Bath - Granite Counter tops in Kitchen - Stainless Appliances - Jacuzzi Tub - Hot Tub - Pool Table - Great For Honeymooners and Couples Getaway - Easy Access in and out! 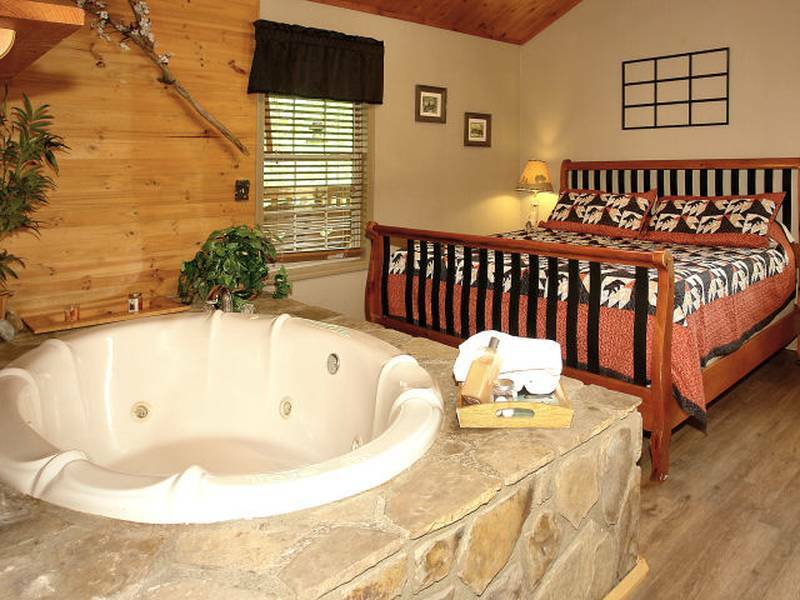 This 5 Star Cabin with its large King Bedroom & Bath is ideal for honeymooners or couples get away. 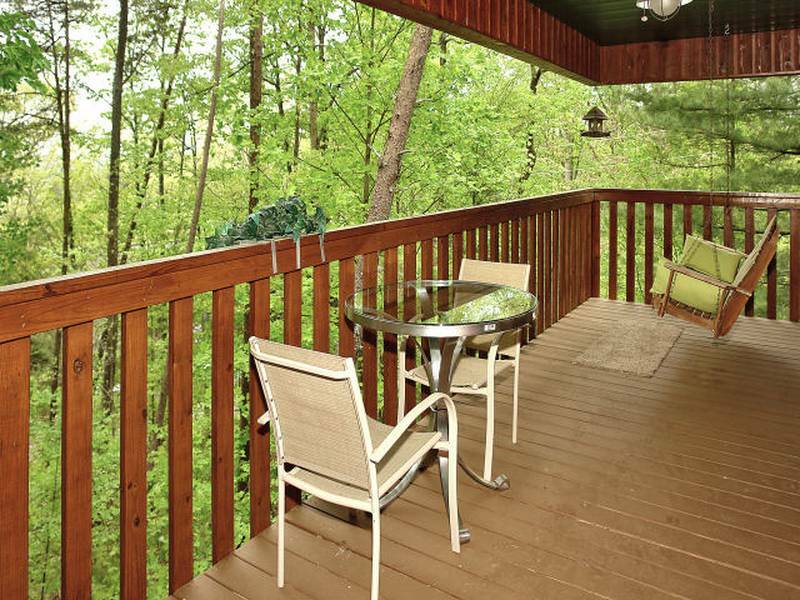 The privacy and wooded views will exceed your expectations and help you escape your busy everyday life. 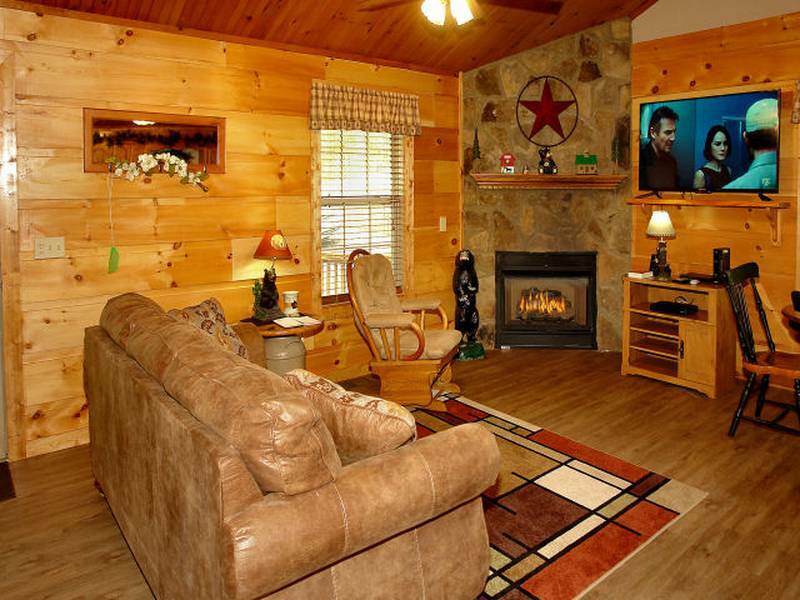 Large open area living room with 55" Ultra 4G flat screen TV, gas fireplace, with fully equipped kitchen, with new granite counter tops and stainless appliances, including all amenities of home, situated all on one floor. 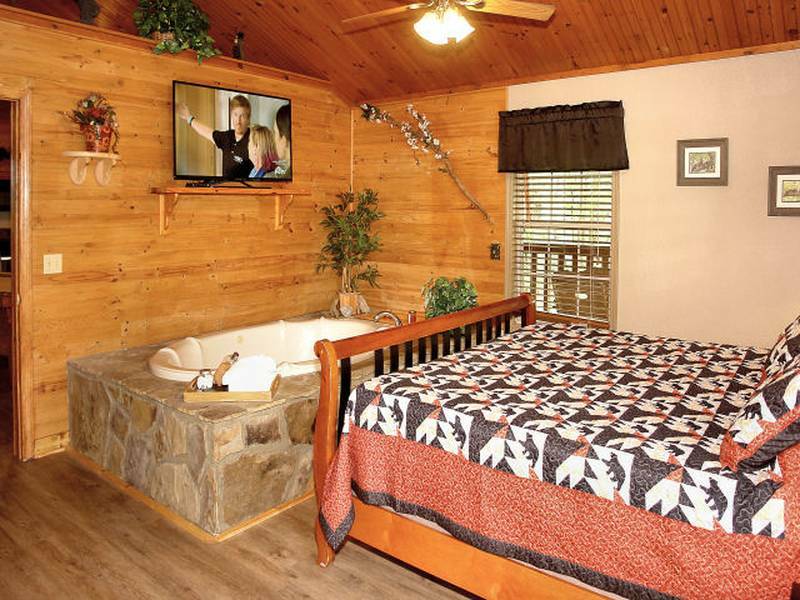 Large king bedroom with x-tra large whirlpool tub and Ultra 4G 50" TV. 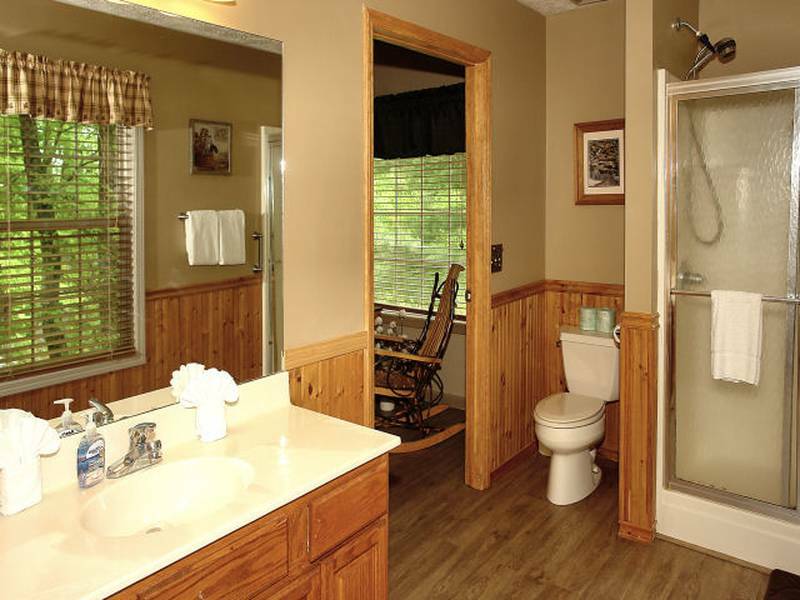 Both outer doors are 36" wide along with 36" width for bedroom and bathroom doors. Also, equipped with TUNE"Z" "Blue Tooth" media player and hands free voice for your "Smart phone". 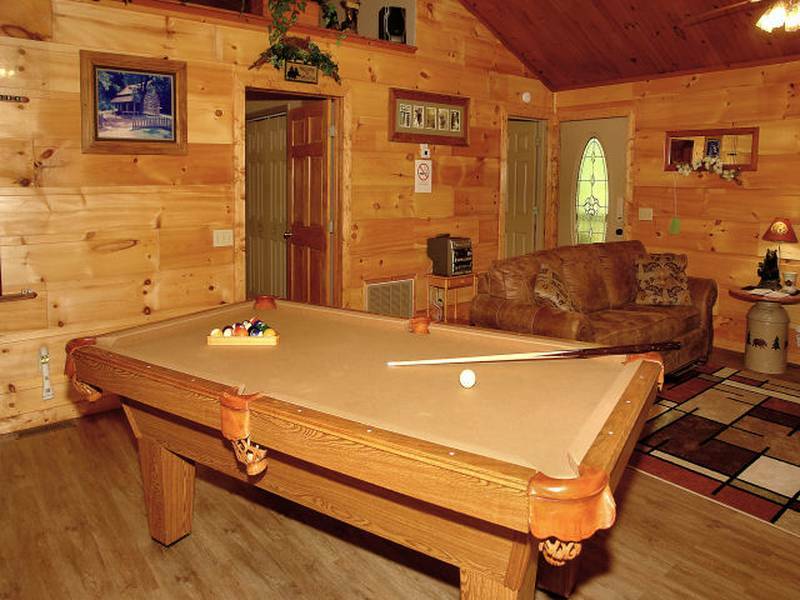 Walk out onto the spacious covered deck and soak in the outdoor hot tub or relax in the "deck" swing or take in a game of pool in this perfect cabin ideally located only 10 minutes from Pigeon Forge and Gatlinburg. 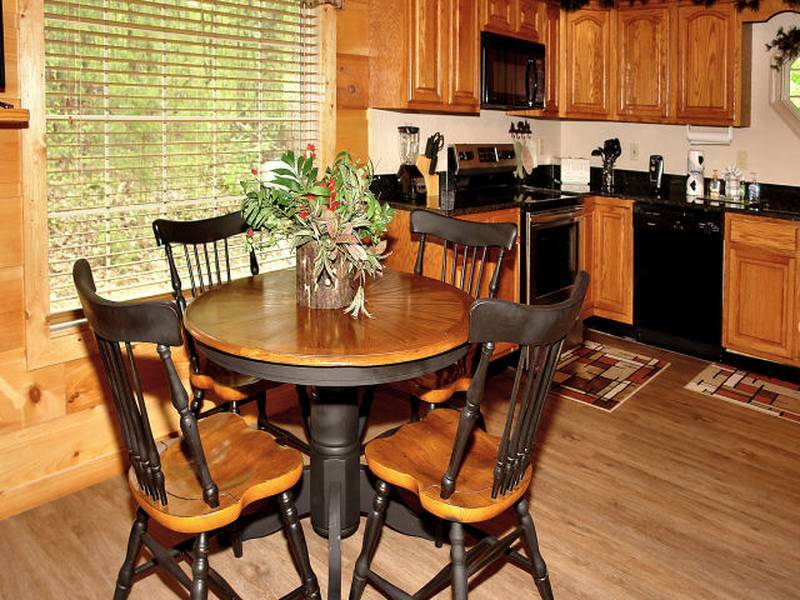 Enjoy all of the attractions the area has to offer such as Dollywood, Dixie Stampede, Smoky Mountain Adventure, and Wonderworks, Tanger Outlet Mall all within 10 to 15 minutes from your cabin. Take advantage of our FREE Fun Pass that includes free tickets to several different venues in the area. 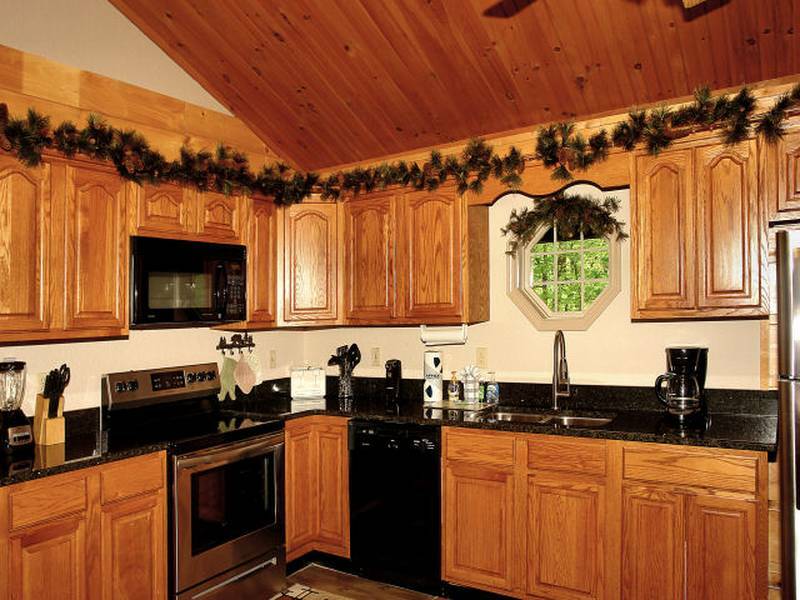 Let us help you plan your perfect getaway and let the adventure begin in Sweet Retreat. This unit is handicap accessible. 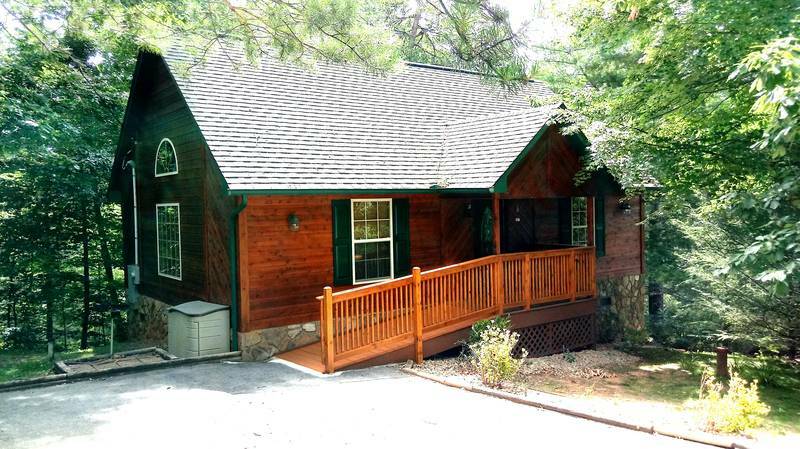 Lovely weekend getaway cabin! We really enjoyed our stay in this cozy little cabin. It was the perfect size for one couple. The beautiful covered back porch, which houses a bubbly hot tub and a wooden swing, was the biggest selling point for us. We couldn’t have asked for a more perfectly romantic 3 day mini vacation. Will definitely return and most certainly recommend.